Clair Matthews: Workshop project 20/03/14..
Hiya, just popping on quickly to share this weeks workshop card.. It's inspired by one my mum pinned on Pinterest the other day that grabbed my eye - of course I've changed the colours completely & the layout slightly so as not to copy the original but Pinterest is such a great source of inspiration it's hard not to find things on there that you want to make! 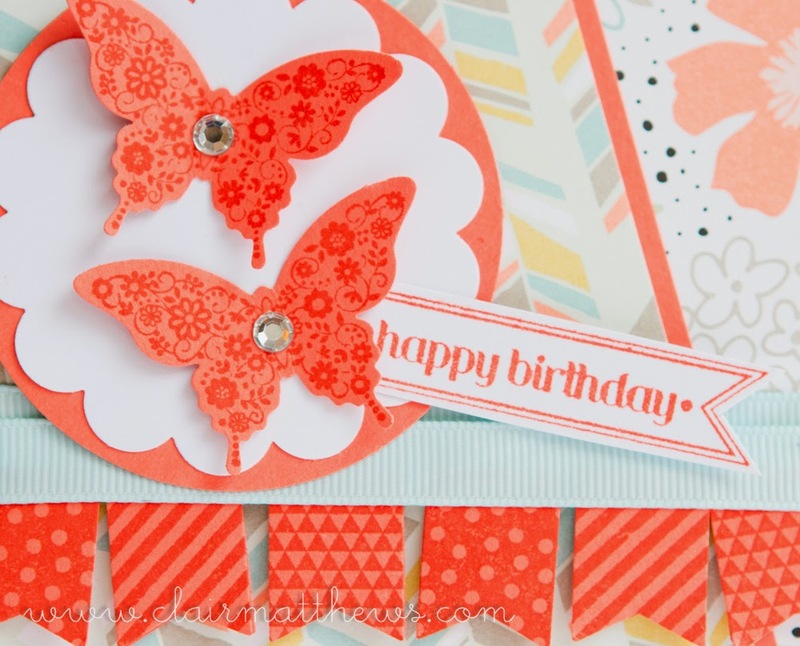 We're using the gorgeous Stampin up 'Sweet sorbet' papers. 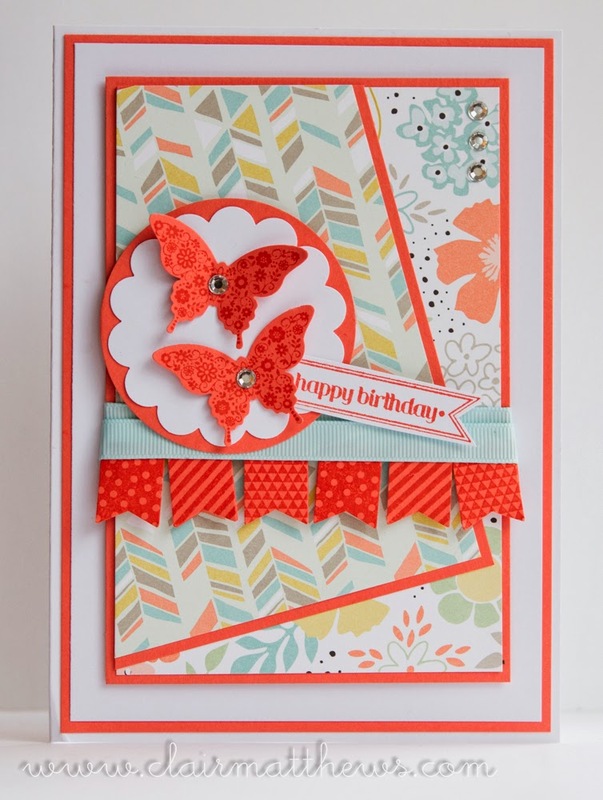 Calypso coral cardstock & co-ordinating ink pad. Banner blast stamps & co-ordinating punch. Pappilon pot pourri stamps & co-ordinating punch. & the Itty Bitty banners stamp for the sentiment. Love the card Clair!! Shame I'm couldn't be there this week, :( but was in sunnier climes!!! !